INSIDE: Before we pull the plug and take all your stuff. 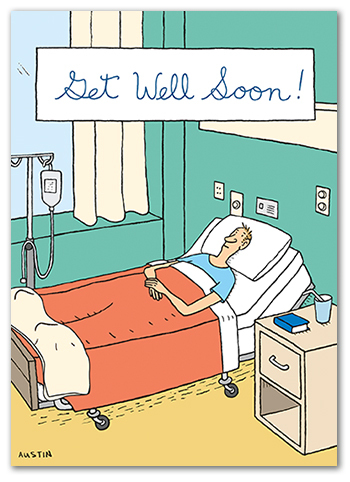 GW028 is a funny get well card from Snafu. Great for your customers with a sense of humor, because they know laughter is the best medicine! It has a bit of a snarky sentiment, that will cheer someone right up.